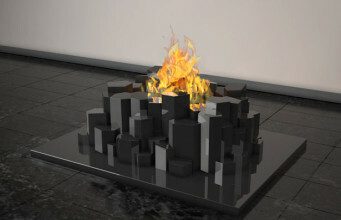 Crea7ion project was created to emphasise the power of fire, its dynamism and intangibility. 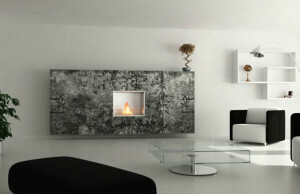 Sharp edges, smooth surfaces and delicate colours are the most characteristic qualities of these bio fireplaces. 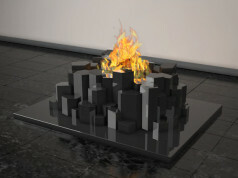 Crea7ion is the unique series of bio fireplaces by Portuguese brand GlammFire. 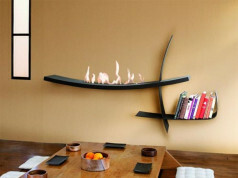 The team of the best designers, using innovative and unique solutions, determines trends and directions on the bio fireplace market. 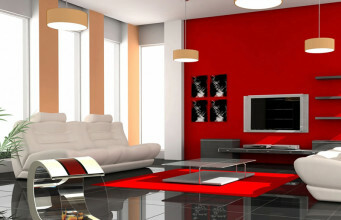 The company is characterized by respecting the principles of ecology and environmental protecion. Modern devices use bioethanol. The combustion products are only carbon dioxide and steam. 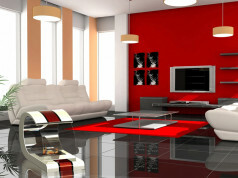 This high quality heating liquid does not leave any ash or soot, and during the combustion it does not smell. Compared with traditional burnt wood, bioethanol outstands by high energy value. 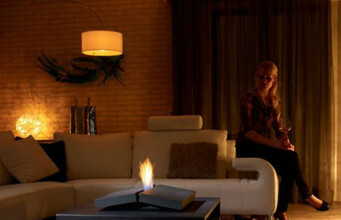 According as size of burner and quantity of burnt liquid, the temperature in bio fireplaces Crea7ion is various. The flame with the height of 40 cm gives up to 3kW of energy, what is enough for warming up almost 20-meters room and let enjoy the pleasent warmth even within 6 hours. 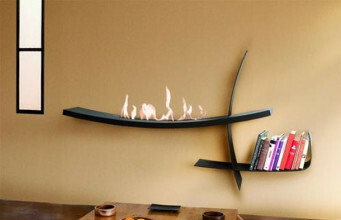 Every bio fireplace is made of the high quality materials, its solid structure guarantees quality and safety of use. Narrow fire line and minimal use of fuel allow for quick extinguishing of burner, the installation of the device does not need any chimney ventilation system. 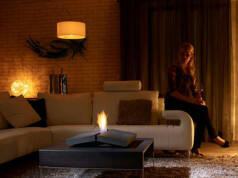 Thanks to the inside regulation system, the bio fireplace let enjoy the potential of fire with incredible low costs. Made of stainless steel, bio fireplaces Crea7ion are remotely controlled devices, easy in service, allowing to monitoring of the fire intensity. Biofuel tank with the volume of 3 liters, separated from the burner, and the pump contolling the fuel flow are the proof of high quality and productivity of bio fireplaces by Portuguese manufacturer. He offers the customization as well: the size of bio fireplace or the biofuel tank volume could be matched individually to the client’s needs. In Crea7ion project the name itself deserves the attention, where the letter “t” is substituted for number 7. This mysterious procedure isn’t accidental, but has deep symbolism and mythological connections. Besides the Earth, in the solar system we have 7 planets, in Hinduism – 7 chakras, the energy places of human body. In Catholic religion there were specified 7 main sins and also 7 virtues, and in the Japanese mythology 7 godheads of happiness are watching over the prosperity and longevity. Crea7ion series charmes, interests and fire up senses. Objects with simple, geometrical shape hide the riches of meanings and associations.